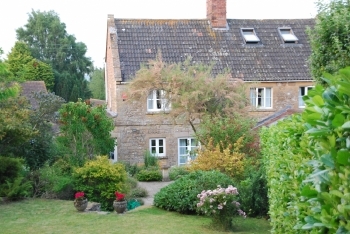 Accommodation in South Petherton, Somerset. Our 7 day weather forecast for South Petherton updated throughout the day, making it ideal for planning leisure activities, travel and events. Read more about our weather forecasts. On Tuesday 23rd April 2019 the sun will rise at 06:00 and will set at 20:19. It will be a mild day, with temperatures reaching around 22.3°C. Today is expected to be a dry day, with a very low chance of rain. There will be a gentle breeze in the air today, with a maximum expected wind speed of 15mph. On Wednesday 24th April 2019 the sun will rise at 05:58 and will set at 20:21. It will be a mild day, with temperatures reaching around 13.6°C. A few showers are expected, 3mm of rainfall is possible today. It could be quite a gusty day today, with a maximum expected wind speed of 23mph. On Thursday 25th April 2019 the sun will rise at 05:56 and will set at 20:22. It will be a mild day, with temperatures reaching around 13.2°C. A few showers are expected, 4mm of rainfall is possible today. It could be quite a gusty day today, with a maximum expected wind speed of 32mph. On Friday 26th April 2019 the sun will rise at 05:54 and will set at 20:24. It will be a mild day, with temperatures reaching around 14.4°C. Some moderate to heavy rain is expected, 9mm of rainfall is possible today. It could be quite a gusty day today, with a maximum expected wind speed of 31mph. On Saturday 27th April 2019 the sun will rise at 05:52 and will set at 20:26. It will be a mild day, with temperatures reaching around 11°C. Today is expected to be a dry day, with a very low chance of rain. It could be quite a gusty day today, with a maximum expected wind speed of 28mph. On Sunday 28th April 2019 the sun will rise at 05:50 and will set at 20:27. It will be a mild day, with temperatures reaching around 15.7°C. Today is expected to be a dry day, with a very low chance of rain. It will be quite a breezy day, with a maximum expected wind speed of 22mph. On Monday 29th April 2019 the sun will rise at 05:48 and will set at 20:29. It will be a mild day, with temperatures reaching around 8.8°C. Today is expected to be a dry day, with a very low chance of rain. There will be a gentle breeze in the air today, with a maximum expected wind speed of 15mph. Our weather forecast for South Petherton is updated throughout the day and has been found to be very reliable for planning activities such as days out, leisure, travel, events, fishing, golf and gardening. Tanwyn cottage is available for self-catering holiday accommodation in the beautiful Somerset village of Over Stratton near South Petherton. It has recently been modernised and is comfortably furnished, and has three bedrooms for up to four people. A large garden and orchard are at the rear. Award winning restaurant and public house are in the village. Good walking countryside on Parrett Trail and others. There are many National Trust properties within short driving distances. The Dorset and Devon coasts are close by to the south. The Somerset coast, Quantock Hills and Exmoor National Park to the north are also easily reached.